Az America S930A Nagravision 3 HD Receiver, SKS and IKS for Nagra3, WIFI, YOUTUBE, support 1080p,USB2.0,ethernet port, RS232 port, Az America S930A Fully DVB-S, DVB-S2, MPEG2, MPEG-4, H.264, AVC Compliant, Support software upgrade by network, RS232 cable, OTA and USB, we can provide the software for you to upgrade all the time. 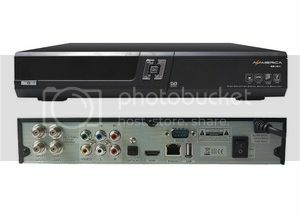 Az America S930A It support the following function: Blind Scan, File Browser, TV/ Radio Reception, Web Browser, Media Player, YouTube Player, Full High Definition format 1080P. RSS Reader, Advanced Electronic Program Guide (EPG), FTP Client, Support for a wide range of encryption systems, Connectivity, IPTV, Recording and Time Shift. , NAGRA 2 with patch ; 2 NAGRA 3 ,SKS and IKS 3.